First the true out-of-state variety (Massholes and their ilk) packing honey and kids into Volvos for weeks of lobster-shucking and/or leaf-peeping, leaving but a trail of ravaged corn cobs and gnawed crustacean claws in their wake; look for blueberry-stained mugs that stare vacantly homeward as they migrate I-95 SW each September. Summer resident “Downeasters”, the powerful and affluent legacy of Maine’s elite from Rockefeller and Vanderbilt to Bush, L’il Bush and Obama. These are rare birds indeed, and not likely to be found beyond their gilded cages. Any Maine resident whose ancestry in the state dates back less than 3 generations. Sorry folks, you and your progeny will have to tough out a few winters more. 2. True Maine residents, AKA Mainahs, Mainiacs, et al. The no-nonsense working-class heritage and aesthetic found in Belfast Bay’s excellent McGovern’s Oatmeal Stout lies firmly with the latter. Full Disclosure: I love oatmeal stouts… a weekend trip some ten+ years ago to Marblehead, MA with a young Barley McHops to obtain Young’s Oatmeal Stout amongst other fine brews was truly a game-changer for this young Alehead. Creamy, rich, malty, delicious… a relevation for an untested palate. Consider this when reading, for I cannot judge the style objectively. A thick, substantial espresso-hued head that retains structural integrity for as long as you’d like. I let it sit for five minutes, leaving a contoured and fluffy sienna moon-scape across the upper plane. Dark bistre-approaching-black coloration, from which no light dare escape. Nose- the expected malted chocolate-coffee-nutty triumvirate is here and does not disappoint. Taste mirrors the nose, adds toffees and caramels, with subtle hoppy finish to balance things out. Drinkability- I could sit and down these all day long, especially after a snappy autumn or winter day of football (watching) or skiing. If you are one of those folks who feel dark beers are not ideal session beers because they are too filling, please do us both a favor and never speak to me again. The brewer- Pat Mullen, the one-man-band behind Belfast Bay, contracts with Shipyard Brewing Company to produce his Oatmeal Stout and Lobster Ale, yet also homebrews and runs the business from his home in Belfast ME. This homebrewing aspect then designates him in the state of Maine’s eyes to distribute his contracted offerings himself. Packaging- refreshingly simple seacoast imagery with a plain gold bottlecap. I love plain bottlecaps. Brewers, please stop putting fancy crap on bottlecaps. We don’t care, we throw them away, please save your dough. And if you print cute sayings underneath bottlecaps… I’m looking at you, Magic Hat. One of the worst beer websites I’ve encountered– a flashy monstrosity with a talking lobster that may well crash older browsers or embarrass you at work. Dear Webmaster, please take a note from the understated tranquility of the Belfast Bay bottles and start this eyesore from scratch. Distribution- According to his website, Mr. Mullen took charge of distribution of his beer after losing confidence in the ability of local wholesalers who were losing him “in the shuffle” during an influx of new micro-breweries. Hiring a small sales team and trucking his beers around Maine and beyond, they grew by leaps and bounds and can be found in eight states. Still doing everything yourself has inherent limitations in scaling and this is not a beer I have found on any Pennsylvania shelves. Pat Mullen and Belfast Bay make two beers. They make one, the McGovern’s Oatmeal Stout, wicked good. I hope to have the chance to try their Lobster Ale, with one of Mama McHops’ famed lobster rolls in close proximity, a light breeze blowing across Marblehead harbor. I hereby award McGovern’s Oatmeal Stout 3.5 Hops. To any who claim Hop-inflation at this lofty mark, I humbly invite you to piss ahf, ya straphangah. 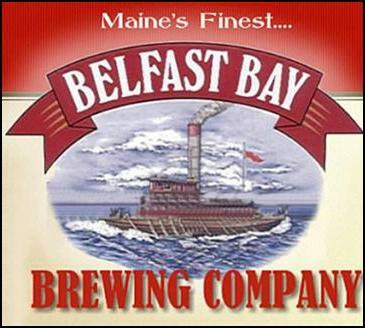 Posted in Ale Factories, Homebrewing.Tagged Belfast Bay Brewing, Maine, Oatmeal Stout. Mama McH says the lobstah rolls will be all tails ans piled high !!! And I promise your knick knack rack and couch will be safe… probably. Hope all is well Gramps! Save me some lobster rolls and a Matty’s clear rum and coke. Done. Although dude, the preferred nomenclature is “Maddie’s”. As penance for not setting foot in New England for five years, you have to start off with a legendary “Pink Thing”. Then you can switch to translucent Rum and Cokes. Previous Post HOORAY FOR…SOUTH CAROLINA?